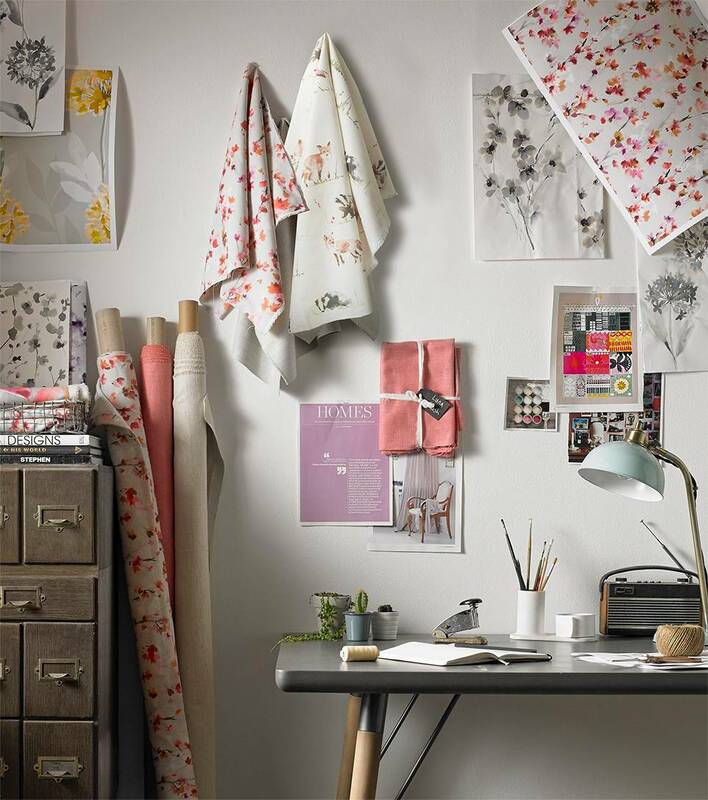 Our fast paced state-of-the-art studio and talented in-house design team work tirelessly to produce stunning collections for our in-house fabrics and lifestyle brands portfolio. During the design process, we focus on what really makes the design and product experience unique and outstanding. Our aim is to ensure we produce beautiful designs that people will love and we work with our brands to understand their unique DNA; for finished products that will delight. Every designer has a key role in our creative process and ensure collections are nothing less than perfect. Our talented team are continually researching trends and our studio is a haven of inspiration; mood boards, sketches, an array of fabric swatches in every imaginable colour, texture and style. With designers that genuinely love what they do, working collectively is what they do best. Our dedicated design team will always go that extra mile to get the details right, because it matters.